Hello, you must have heard or received a call that the UNIBEN admission list for 2019/2020 is out right? Well, if you have not, am happy to be the first to inform you that the University of Benin, Uniben admission list is out. Take note that the school has officially released its first admission list, containing the names of all candidates, offered admission into the academic institution. Using this medium, we would love to inform and notify all members of the general public, that the much awaited Uniben admission list for 2019 has been released. 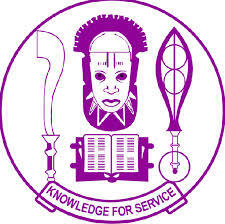 All 2019 aspirants of the University of Benin – UNIBEN post utme screening exercise, should take note that the 2019/2020 UNIBEN first batch admission list has been released and published online, by the school admission board. All Participants should note that they can now check their admission status online through the school portal. 2. When the website loads up, proceed and type in your username and password in the spaces provided. 3. Finally, just click on the “Login” button to continue and view your admission status. Wishing all Candidates the very BEST and please don’t forget to share this information with your friends on Facebook, Google+, Twitter, WhatsApp, and Instagram, using the share buttons below.